You'll be £4.99 closer to your next £10.00 credit when you purchase Sniper Jackson. What's this? Although it reads as a novel, Sniper Jackson can be justifiably viewed as 'faction' weaving true events around a mythical character. This was a commonplace method of writing at a time when many serving or ex-soldiers did not want individuals or events in their books to be identified, and many used pseudonym's to conceal their identities. Sleath's work bears all the hallmarks of personal experience, in particular those small details of trench life and the insights into the close-knit camaraderie commonly found in specialist units that only those who have experienced it could know. Indeed, the book was praised for its accuracy by one of the pioneers of British trench sniping, Major Frederick Crum, in his own Memoirs of a Rifleman Scout. It would be a mistake to dismiss such literature as imagination or fabrication, bearing little relationship to reality. 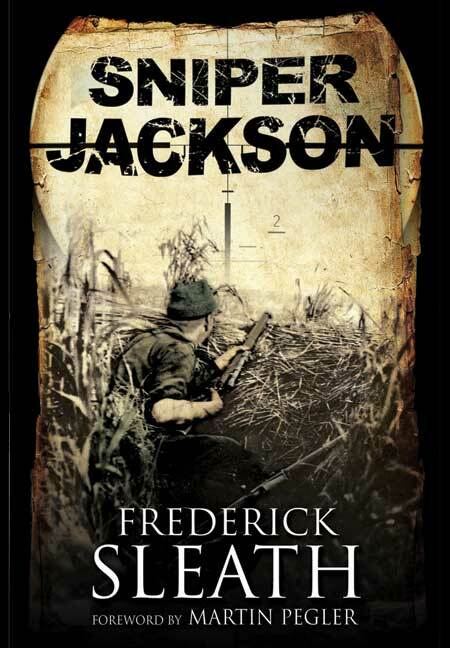 The truth is that such books actually contain a wealth of information and Sniper Jackson is a unique piece of eyewitness history about a rarely discussed element of warfare on the Western Front in the First World War. The story tells of a young Second Lieutenant, Ronald Jackson, who was posted to the front line and assigned to the Sniper Section. Jackson was allotted this position owing to him being a fresh young officer lacking in combat experience. It was common at this time for young inexperienced officers to be put in charge of specialist units such as sniper, bomb, or trench mortar sections. This would leave the more senior officers free to keep effective control of the day to day running of their battalions. Sleath details the exploits of Jackson, the young subaltern, steadily growing alongside the men in his section. The story describes the hardships endured throughout the First World War and of the camaraderie and understanding built up between all ranks in times of great danger. The author explains, in graphic detail, the tasks undertaken by the sniper which not only included the art of actual sniping, but also necessitated a requirement to map no man’s land along with the layout of German trenches. This book tells how, even during war, there were times when humanity was called for - as well as tough discipline. Sniper Jackson provides a good account of the type of trench warfare waged at the time and how different people dealt with it in different ways. Sleath is graphic in his description of the conditions endured. He really gives the reader an insight into the trench way of life by mentioning what was going through the mind of a soldier in the harsh dug outs of the First World War. The chapters within this book tell of a life both in and out the trenches. The author conveys very well how, out of the trenches and when in the rear echelon, soldiers strived to have some sort of normality. It’s easy to believe after reading this book that the author is recalling real life events. Sniper Jackson’s experiences are really well described and brought vividly to life in one’s own minds eye. This very enjoyable book is definitely one to read. Sniper Jackson will give the reader a good insight into the life of a young, inexperienced man growing up and learning, through a baptism of fire, how to survive and fight in such a cruel and bloody war. FREDERICK JAMES SLEATH (1889–1966) joined the Royal Scots in 1914 and served in the Ypres Salient until injury relegated him to a desk job at the War Office. MARTIN PEGLER was curator of firearms at the Royal Armouries for 20 years and is the author of Sniping in the Great War, The Sniper since 1914 and The Sniper Anthology.